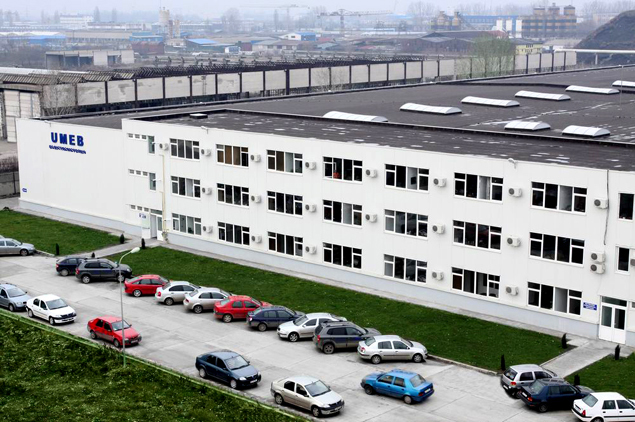 S.C. UMEB SA is a well-known Romanian company, specialized in designing, manufacturing and selling of low voltage rotating electrical machines and generating sets. UMEB started its activity on the 7th of November 1948, becoming, in 1990, a trading company, by taking over the whole state patrimony. In time, our company has been a real “factory-school” for the students of Bucharest Polytechnic University. UMEB’s main stockholder is the American Investment Fund: New Century Holdings (NCH) that has developed businesses of about 300 mil. Dollars, in Romania, in more important fields of economy, as being: electrotechnical industry, construction materials industry, mill and bread manufacture industry, bank-financial services, capital financial services and real estate. About 60% of UMEB motor production goes to countries as: Italy, Germany, Finland, Spain, England a.s.o. 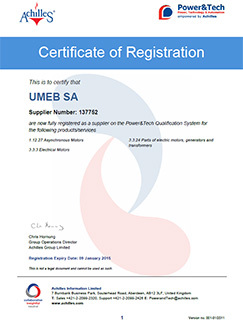 Also, UMEB is one of the main motor supplier for the internal market. At present, among our internal customers we can enumerate top names of Romanian economy, including the following activity fields: food industry, textile industry, chemical industry, metallurgical industry, construction material industry, wood exploitation and processing industry a.s.o. 2005 represented the year of major changes for us. Our desire of strengthening the present market place, together with that of becoming more competitive and efficient, made us enrich our activity and optimize our technological flow. In 2008, our company will move into a new and modern location situated in an industrial area, not far away from the present location. New Century Holdings, the main stockholder, allocated 10.5 million Euro for the headquarters building and 1 million Euro as investment for renewing the equipment. 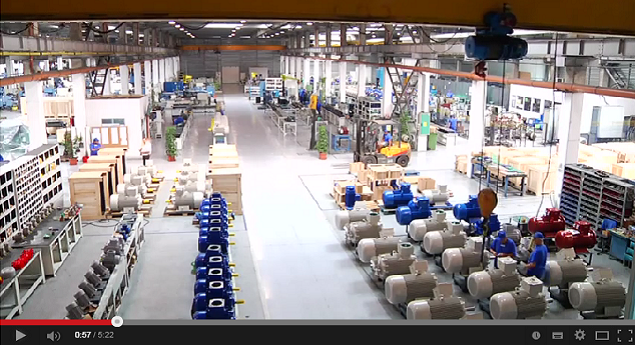 2015 - We don't stop at explosion-proof motors, we also assess every opportunity that presents itself. trolleybuses and trams by cooperating with a local converter manufacturer, when we were presented with the opportunity.